The comics industry is hitting on all cylinders as it kicks off its summer sales season. The month of May had Free Comic Book Day, the Avengers movie, Marvel's Avengers Vs. X-Men event, DC's release of its first hardcover collections of its relaunch issues, and continued strong sales from Images Walking Dead trades. The result? What appears, in early estimates based on figures released today by Diamond Comic Distributors, to be a $44.7 million month for comics shop orders of comics and graphic novels — which would make it the single largest month in non-inflation-adjusted dollar terms since Diamond began reporting Final Order data in 2003. 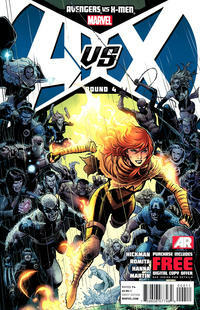 Click to see the preliminary rankings for comics for May 2012. It is also, regardless of the overall estimate, the largest year-over-year increase for any month seen since Diamond began reporting Final Order data. Retailers spent 43.76% more on comics and graphic novels this May versus last May. That percentage year-over-year increase, which mostly takes inflation out of play, looks to me to be the largest since probably 1993. Again, we're just talking percentage increase: it's not that this May's sales are remotely comparable with that best year in the history of the business, or several of the years after it. But after 1993, the trajectory was mostly downward, and we never saw year-over-year increases of this percentage size. The caveats are worth noting — this May had five shipping days versus last May's four. Last May was anemic, with Fear Itself and Flashpoint doing less business for Marvel and DC than their main titles are doing now. 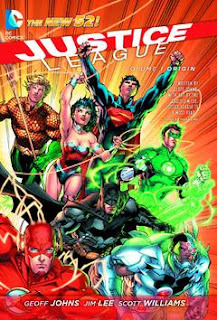 Graphic novels were suffering then — whereas the DC hardcovers this month, led by Justice League Vol. 1: Origin, were the turbocharge that sector's been waiting on all year. The dollar figures aren't adjusted for inflation. And the end of the year will find the industry comparing against higher numbers from the start of DC's relaunch. But the caveats are growing perhaps less important now. Year-over-year percentage comparatives in the 40s, which were observed in both comics and graphic novel sectors, are well above anything a fifth week would explain. The unit sales increase would seem to suggest a 7.4 million copy month for comics orders, which would put it close to October 2011, the best month for unit sales during the relaunch. And the industry is now $30 million ahead of where it was after the first five months of 2011. With that much banked, a down year would require seven months averaging about what we did in January 2012. While that isn't mathematically impossible, it is definitely improbable. Finally, it is worth noting this month that Publisher's Weekly has begun compiling and releasing Bookscan figures for, among other categories, graphic novels (as it defines them, which isn't always as the comics market would). The lists appear to be going subscriber only at some point, and don't provide the full picture that Brian Hibbs' end-of-year charts do, but they're an interesting addition to what is out there. Full estimates will be out next week. Follow Comichron on Twitter and Facebook, to be alerted when they are posted. Wow this interesting. I've been following your posts for about half a year now. It's good to see that comic books are starting to become healthy again. I just hope this trend continues. But I feel as if though the reason why it's rebounding so well is all of the movies and TV series along with the fact that the comics aren't just hype anymore, and quite a few of them are actually pretty good to read. Also, I noticed that there are an increasing amount of websites that offer free older issues, so now it's getting easier to get into without being confused lol.